Help us provide students with a variety of tangible family medicine exposures, positive mentoring and interaction only possible through the Illinois Academy of Family Physicians. Learn more and then sign up via the secure Mentorship Community Forum (member login required) on our web site ASAP. Support provided by a grant from the AAFP Foundation through the Family Medicine Philanthropic Consortium. Learn more and register today at these web pages. Also available March 9 in Springfield - National Procedures Institute workshop on wound care management and advanced suturing. Learn more. You can order these cards using this order form. If you are interested in adding a graphic like the one above to your websites to help promote the number, IDHS/DASA has provided several options online that you can download and use. IAFP now has four Partners in Health with resources for you and your patients. Don't forget about these other practice resources from IAFP. Medicaid Managed Care - For providers new to the Medicaid managed care program, the Illinois Association of Medicaid Health Plans will be at our Essential Evidence meeting in Springfield to help answer questions and provide resources. State law requires that all prescribers with controlled substance licenses must register for the Illinois Prescription Monitoring Program (PMP), an electronic tool that collects information on controlled substance prescriptions, reported on a daily basis by retail pharmacies dispensing in Illinois. If you are not already registered with the IL-PMP, please visit www.ilpmp.org and register today before prescribing any opioid. If you have any problems registering, call the PMP for assistance at 217-524-1311 or email [email protected]. Community Health Centers in Illinois are putting a halt on hiring and pausing expansion plans as they await the fate of key federal funding that expired in September. A proposal from the U.S. House to keep the federal government open past Friday includes an extension for the Children's Health Insurance Program - which also expired in September - but not for community health centers. The IDPH Pregnancy Risk Assessment Monitoring System offers new resources to help physicians who care for infants. Visit www.iafp.com/prams. 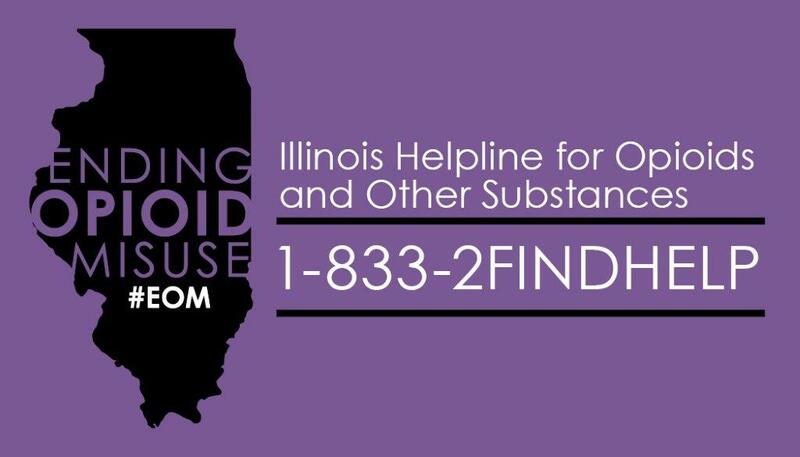 The Illinois Psychiatric Society is hosting a training that will provide a comprehensive overview of buprenorphine prescribing and its use in an office-based setting. Intended audience includes physicians and other primary care providers that treat opioid dependent persons in practice. The training, presented by Dr. David Lott, will be held Friday, January 26 from 1-5pm at the University of Chicago. For more information and to register, please view the event flyer. Do you know how you are compensated? Purchase the AAFP's live webinar, Family Physician Compensation and Employment Contracts, featuring Travis Singleton, vice president of physician search and consulting firm Merritt Hawkins & Associates, to discover the elements that determine your compensation. Just $30 for members! A new Illinois law allows prescribers to ensure that local law enforcement can obtain and carry epi-pens in case of emergency. IDPH has a toolkit for providers to walk through the process. Past president and current delegate to AAFP David J. Hagan, MD was featured in an article accompanying the release of the AMA's physician economic impact report. The story focuses on how Hagan's Gibson City Clinic, located on the main street in this town of 3,500 provides secure jobs and work for the local community. You can read the article here and download the Illinois data on physician economic impact here. Congratulations to all the family physicians named in Chicago Magazine's Top Docs issue this month. Link to the list. SIU Quincy provided sports physicals at Medfest on Jan. 18, which connects area students to the Special Olympics program. The event was featured in today's Quincy Herald-Whig. Congratulations to Deborah Edberg, and Deborah Clements, MD, both from Northwestern University - Feinberg School of Medicine department of family and community medicine for winning a grant for their upcoming project "Tackling Health Disparities Through Social Justice." Daniel I. Linzer Grants for Innovation in Diversity and Equity support projects at Northwestern, including health research and initiatives for diverse populations, efforts to address racial biases in the arts and studies of the law and politics of religion. Edberg and Clements will use their grant to develop a new social justice curriculum for family medicine residency physicians, faculty members and students. Curriculum will explore the historical context of systemic racism and discrimination along with the power of implicit bias and its impact upon communities, health professionals and patient populations. Jerry Kruse, MD was featured in a January 2 Springfield State Journal Register article on the opioid crisis in central and southern Illinois. Specifically, Kruse discussed SIUs efforts to train their medical students as well as collaborative efforts with health systems to provide addiction treatment and suboxone in their clinics. Leland Phipps, who died in May 2017, was a family practice physician at Paris Community Hospital/Family Medical Center. His family recently accepted his Rural Physician of Excellence Award from the Illinois Rural Health Association. During his 36 years of practice, he was seen as the organization's "patriarch" for the many leadership roles he held, as well as an inspiration to the many students he mentored.